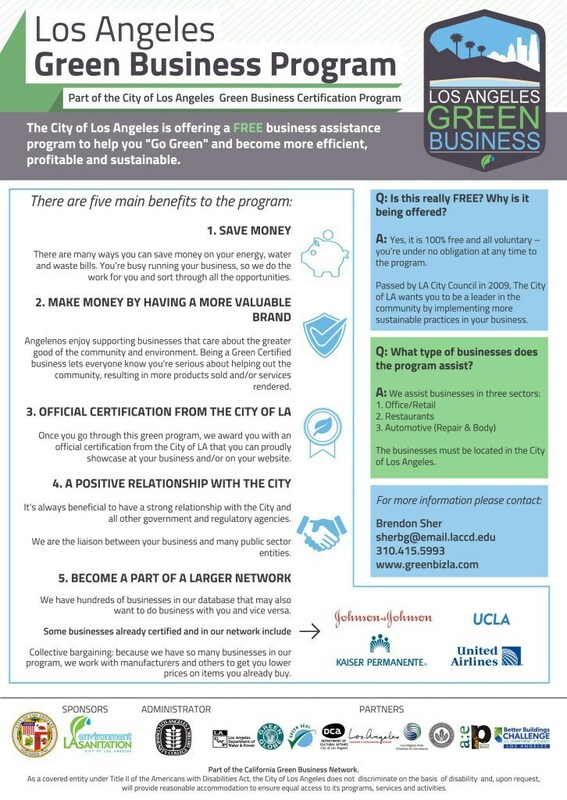 UCLA is now partnering with the City of LA to get offices and departments certified under the City of LA Green Business Program. The program is very similar to UCLA’s original Green Office Certification Program. Staff & faculty of campus departments can participate in a simple audit process about their office practices. So far 18 offices and departments have been certified under the City program, and 50 were previously certified under the UCLA program. Click here for a list of city certified offices. There is also a Green Labs program under development. Learn to save green while going green! Contact us at sustainability@ucla.edu to get started. To further green your office, use the UCLA Sustainable Office Purchasing Guide to identify environmentally preferable office supplies available through Office Max.